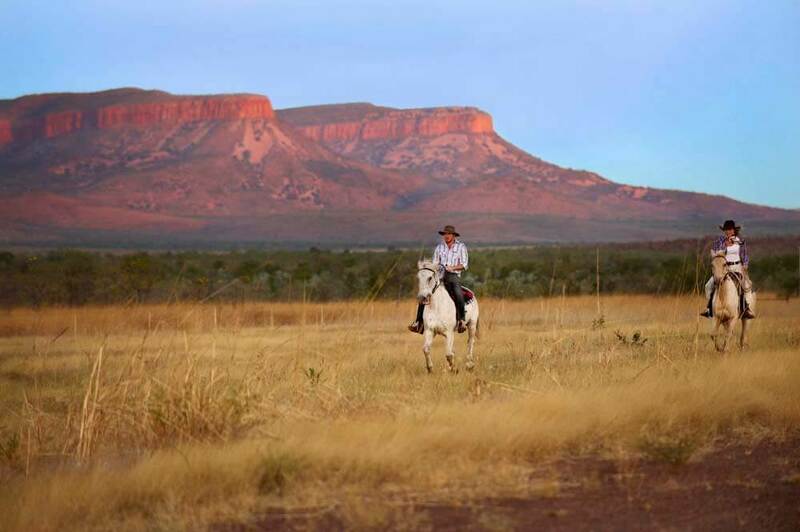 Horse riding along the banks of the mighty Pentecost River? Listening to Aboriginal legends? Fishing for giant barramundi? Which authentic outback experience will you treasure most? Your panorama is vast, stretching as far as the majestic Cockburn Range, tinted pink by the early evening sun. Your horse carries you past shaded billabongs and sparkling waterfalls, towards home – or at least the Home Valley Station. It is just another one of those moments when you congratulate yourself on choosing to experience a genuine outback station as part of your luxury, tailor-made holiday to Australia. Tomorrow you could take a boat and explore the serene scenery along the Pentecost River. Or, if you’re a keen angler, fish for barramundi. But tonight you’re looking forward to a home-cooked dinner at the Dusty Bar & Grill and exchanging outback stories with fellow guests and locals, over a ‘cold one’ or a glass of good wine.